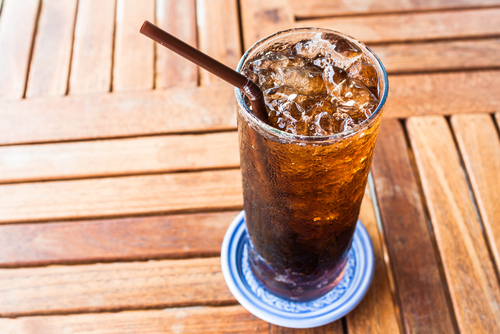 Do artificially sweetened or diet drinks lead to dementia and stroke? The short answer is “no” but this is not what a recent newspaper headlines might lead you to believe. The headlines relate to a US study. The researchers used something called a “food frequency questionnaire” to look at the diets of a large group of people. They then checked for incidence of stroke or dementia 10 years later. So far so good. This is a reasonable and frequently used way to investigate links between diet and disease. Remember though that this sort of study can only demonstrate associations and cannot show cause and effect. This is very difficult to explain given that this was only true for data collected during this 3 -year period and it must be remembered that demonstrating a link does not demonstrate cause and effect. Furthermore the risk was pretty low whether you drank diet drinks or not so a big % increase on a small starting number is not so much of a worry. What we do know from other studies is that sugar sweetened drinks are linked to obesity, heart disease, cancer and stroke so don’t go thinking that it might be less risky to switch to sugary drinks. At the end of the day it’s very important to stay well hydrated and not to consume loads of excess calories through drinks. Water, herbal teas, and even unsweetened ordinary tea and coffee (in moderation) with skimmed or semi-skimmed milk are good choices. If you like diet drinks and they help you to stay hydrated there is no strong evidence to suggest that you should stop using them. This entry was posted in Artificial sweeteners, Bite sized science and tagged dementia, diet drinks, stroke by Stephanie.fade. Bookmark the permalink.